The Wishmaster franchise featured some of the most brutal and gore filled death scenes in horror movies. Horror master Wes Craven executive produced the first film in the series, Wishmaster (1997) directed by Robert Kurtzman. Wishmaster tells the story of an evil Djinn trying his hardest to return the Djinn to this dimension on Earth so they can massacre and rule the humans. 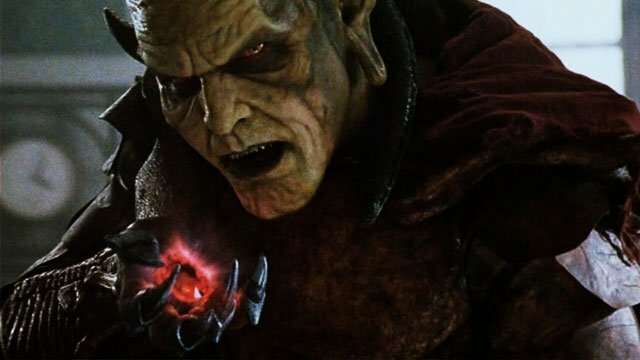 Comprised below is a list of our best Wishmaster movie list from every Wishmaster franchise movie including the original Wishmaster (1997) with Andrew Divoff starring as The Djinn / Nathaniel Demerest. Each film was rated by our editors and reader scores factored into the placement of each film. I remember the first time I saw the original Wishmaster film; I thought it had such a cool and crazy introduction with a creepy and scary tone. We take the average of our score, reader score, and IMDB scores into account and use a custom weighting to determine the placement. Read the list and don't forget to share your vote too.